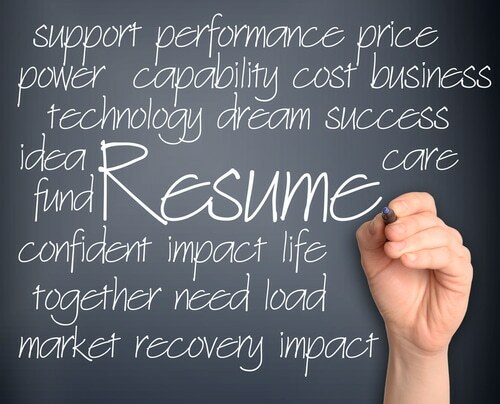 Many people feel trepidation about the thought of writing their own resume. Clients who have come to us for resume writing advice say that they did not know how to hit the right tone, what length was acceptable at the moment, whether to include head-shots, date-of-birth, interests, etc. What should be the easiest thing in the world – setting out your own achievements, qualifications and work history suddenly turns into a daunting task fraught with indecision and second thoughts. But you are not alone; there are in fact many reasons why a company like ours, Select Resumes, should be your go-to resource for all your job-hunting needs. But there are some questions you need to be honest with yourself about. Finding the time to write a professional resume may be impossible, especially if that dream job suddenly becomes available – do you have the time? Wouldn’t you like to have at your disposal a team of dedicated, professional writers, editors and designers, with years of experience in several key industry sectors, as well as human resource professionals who know how recruiters think? Have you spent hours labouring over the perfect font, background colour and layout, and left yourself 30 minutes to write the resume? Does your cover letter, resume and key selection criteria work as individual items but not speak as a harmonised and complete picture? Do you think the STAR system is something astronomers use and not the most effective means of highlighting your key achievements to a prospective employer? Can you differentiate between a key selection criteria and a statement of claims? Knowing your limitations. You are no doubt superb at your job, but are you an erudite yet clear and focused writer? Can you pepper your resume with the positive phrases and keywords that recruiters demand? Have you done the juggling act of presenting your skills and experience in the best possible light whilst also answering the needs of the role as advertised? Finally, can you do all this and still give your documents the ‘wow’ factor that will make the recruiter sit up and put that shortlist tick by your name? If the answer to any of the questions was negative, then you owe it to yourself to use the services of a professional resume company. Select Resumes is that company and our only aim is get you to interview. Call us today to find out how we can help you.